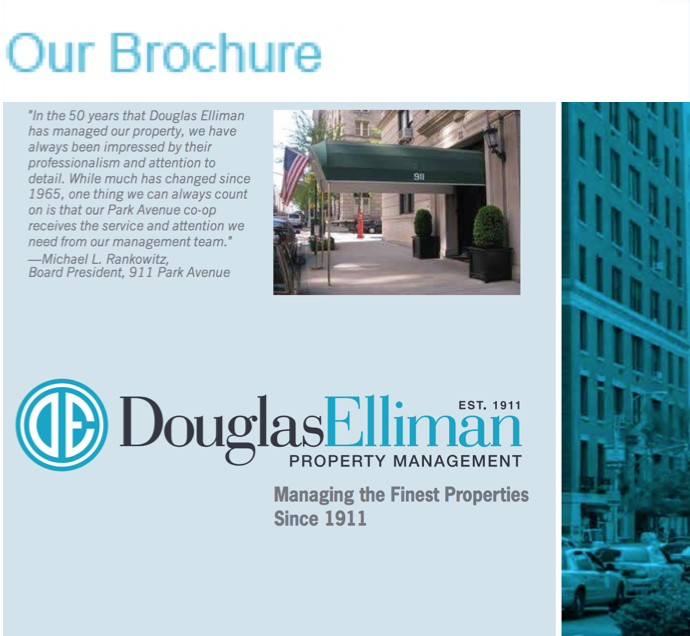 "In the 48 years that Douglas Elliman has managed our property, we have always been impressed by their professionalism and attention to detail. 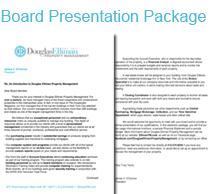 While much has changed since 1965, one thing we can always count on is that our Park Avenue co-op receives the service and attention we need from our management team." MISSION STATEMENT | Our mission is to provide our clients with the most comprehensive and reliable range of services to make their building operations as smooth, efficient and cost-effective as possible. 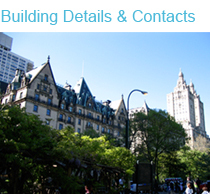 For over 100 years we have been dedicated exclusively to providing the best residential property management to hundreds of buildings in all neighborhoods of the City and beyond. 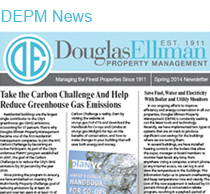 Our pledge to support non-profit organizations that help those in need and our alliance with the Mayor’s office to help reduce carbon emissions are key to our philosophy of corporate social responsibility.